1. HOW CAN I QUALIFY FOR THE EUC SPLIT 2017? You need to be a student (aged 17 to 30, by formula: event year – competitor's year of birth = age) or you obtained Academic degree or diploma in the Academic year 2015/2016, from a University in one of the EUSA member countries. Non-members of EUSA may also qualify by contacting EUSA office. Your national university sport federation (NUSA) is the only body responsible for your qualification. Usually, you have to take part in the relevant National university championship and achieve a good result (winner, runner-up and sometimes semi-finalists are qualified) to be qualified for the EUC 2017. You need to contact your National University Sport Federation; it will submit a General entry form (1st step of the registration) to the EUSA. 2. HOW CAN I REGISTER FOR THE EUC SPLIT 2017? Now that you have qualified (see previous question), you need to follow the registration process to ensure your participation at the relevant event. The General, Quantitative and Individual entries shall be submitted via EUSA online registration system, which can be found on the EUSA website. Entry codes are provided to your NUSA. Competitors (teams or individuals) should be nominated by their NUSA so the General entry submission will be done by NUSA. The Quantitative and Individual entries submission shall be done by University team contact person. If no team is nominated by a NUSA in the defined term, EUSA may accept an entry directly from a University, but is obliged to inform the respective NUSA. The general entries are confirmed by the EUSA Office. Only general entries with deposits paid within the defined deadlines will be considered. A detailed PDF guide of the registration process is available here. 3. HOW MUCH IS THE PARTICIPATION FEE FOR ATHLETES AND OFFICIALS? EUSA Entry fee is 30 EUR per person. 4. WHAT IS INCLUDED IN THE PARTICIPATION FEE? 5. WHERE WILL I STAY DURING THE EVENT? Accommodation in Split will be in the Student dormitory Dr. Franjo Tudjman. 6. WHAT ARE THE OFFICIAL DATES FOR EACH SPORT? 7. DO WE NEED TO BRING THE REFEREE? 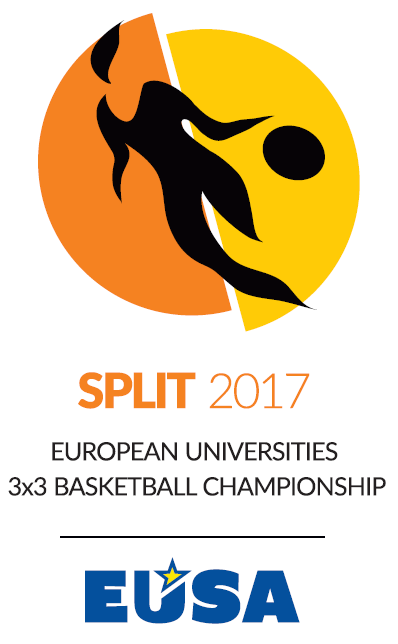 No, EUC 2017 Organizing committee will organize referees for all three sports.